Come in today and ask about Eathborns frequent buyer program. Come in today and ask about our Frequent Buyer program. A WHOLESOME alternative to common Dog Food formulas. 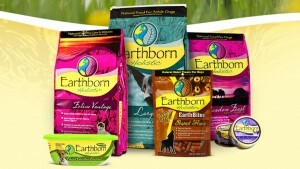 EARTHBORN Holistic offers a natural holistic approach to nutrition with high quality ingredients to nourish the whole dog. We love dogs and have developed a wholesome food to maintain your dogs overall health and total physical well-being, supporting all body functions. We select natures finest digestible proteins, fruits and vegetables along with an exact blend of vitamins and minerals to support immunity and wellness. Every ingredient has a purpose and is carefully balanced to provide nutrition to every part of your dogs system – naturally. EARTHBORN Holistic contain Omega-6 and Omega-3 fatty acids, which are vital for the immune and nervous systems while supporting healthy skin and coat. 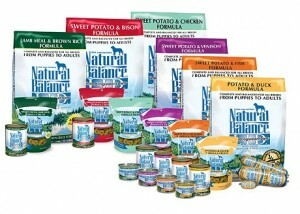 Natural Balance pet food encompasses several carefully selected formulas, which feature high – quality meats and unique proteins, complex carbohydrates and nurishing fruits and vegetables. For over and decade, our limited ingredient diets with limited protein and carbohydrate sources were one of the first of their kind on the market and have paved the way in the limited ingredient diets category. Ultra whole body health, wild pursuit, and fat dogs and fat cats formulas are just a few more of our wholesome formulas. 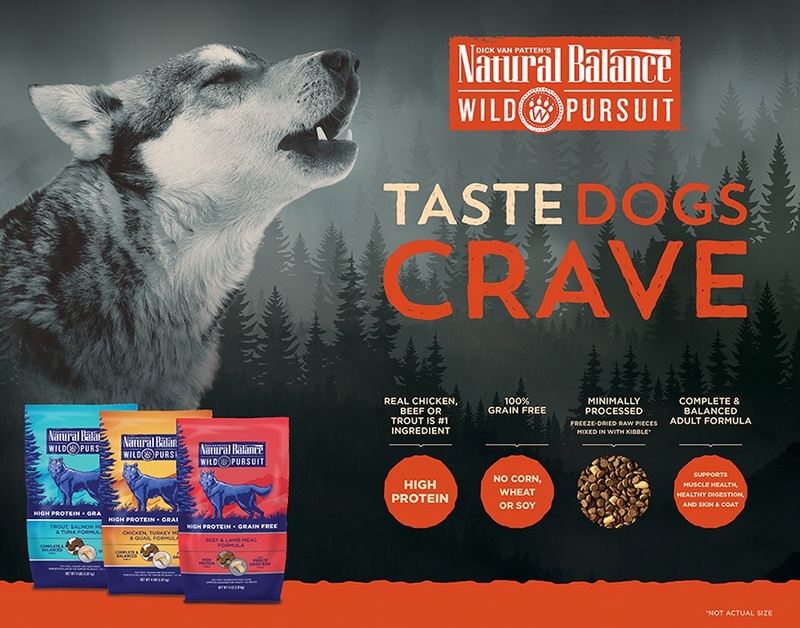 Natural Balance products include these and many more unique varieties of dry food, canned food, stews and treats for dogs and cats of all ages. SPORTMIX WHOLESOMES is designed for dogs needing a high energy food from a single source high quality protein. 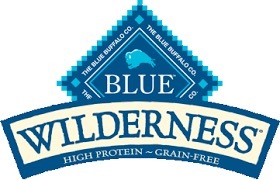 WHOLESOMES food is made without high – moisture protein source or common grains like corn, wheat or soybeans. WHOLESOMES food balances Omega-6 and Omega-3 fatty acids to promote to good skin and coat. The addition of natural vegetable fibers help support good digestion. SPORTMIX WHOLESOMES supplies your dog with a naturally preserved, 100% complete and balanced diet for a healthy, active life. SPORTMIX is formulated to provide your dog with complete and balanced nutrition for a healthy life. Made from select high – quality ingredients and fortified with essential vitamins and minerals, SPORTMIX promotes strong muscles and bones and glossy skin and coat. A physiologically tuned, nutritionally correct diet for your canine companion means meat first, limited ingredient recipes. Meat first provides canines the animal protein they need to thrive, while our limited ingredient philosophy eliminates troublesome staples such as chicken, corn, wheat, soy and potatoes, The result is optimal hypo-allergenic, low glycemic nutrition. We build on this natural foundation by adding vital supplements such as antioxidants, essential fatty acids and a complete spectrum of vitamins and minerals for holistic pet food that goes beyond nature to become your pets signature food for life. There is a diet for every pets need including grain free, gluten-free formulas. 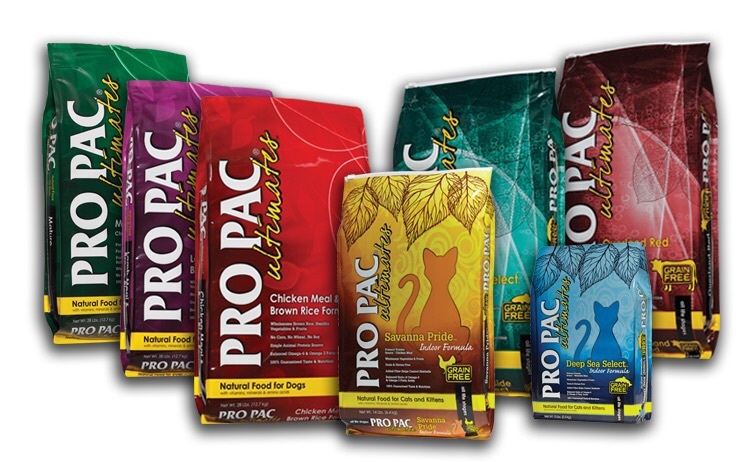 Dogs and cats thrive on meat protein and Pro Pac Ultimates provides the highest quality proteins for your pet. These antioxidant-rich formulas boast a balanced ratio of Omega-6 and Omega-3 fatty acids. Your pets will love the taste of Pro Pac Ultimates; It’s 100% guaranteed for taste and nutrition. Instinct Raw Frozen Diets are formulated to mirror your dog or cats ancestral diet: 95% Meat/Poultry, organs, and bone; 5% Vegatables, fruits and wholesome ingredients; 0% grains and gluten. There’s never been an easier way to feed a biologically appropriate, raw food diet.